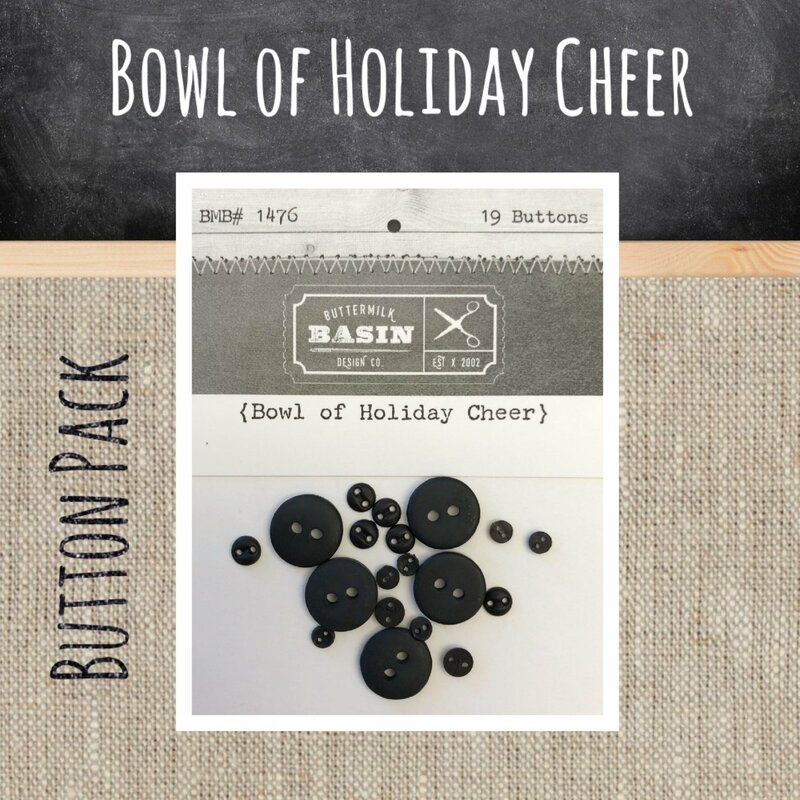 This is the button pack for the 3 Vintage Holiday Pillows. 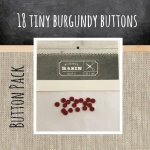 It includes all of the hand dyed buttons to make the pillows. 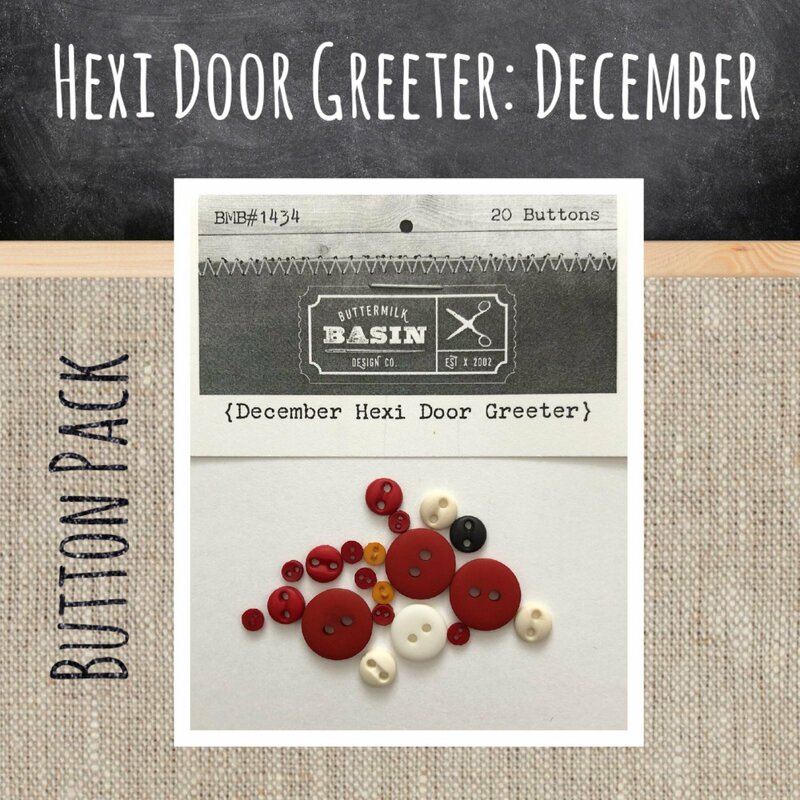 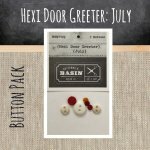 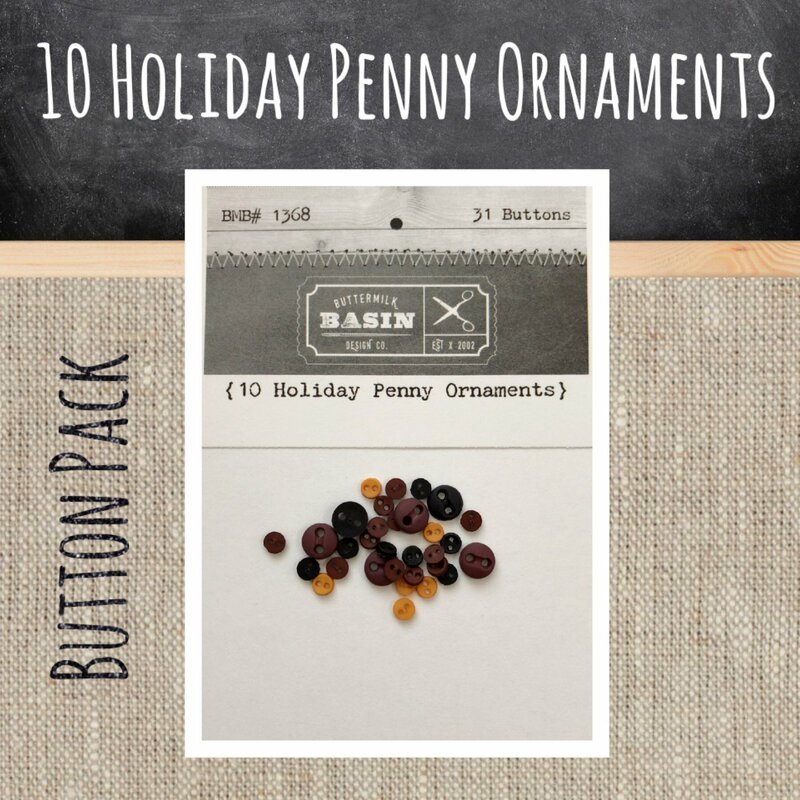 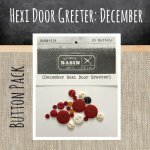 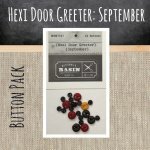 This button pack includes the 9 hand dyed buttons that are used on the Autumn Penny Ornaments. 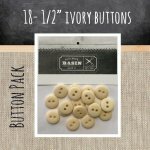 This is the button pack to complete the JOY Woodland Pillow. 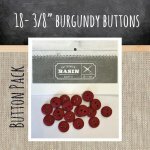 It contains 6 hand dyed buttons. 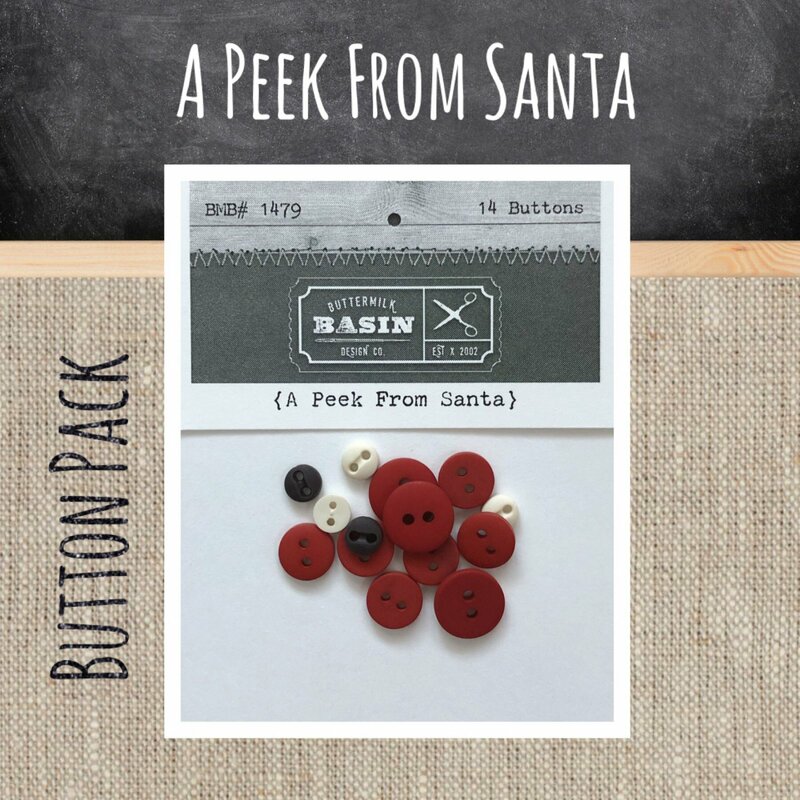 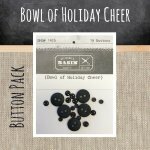 This is the button pack that will complete the Set of 4 Medium Holiday Pillows. 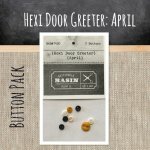 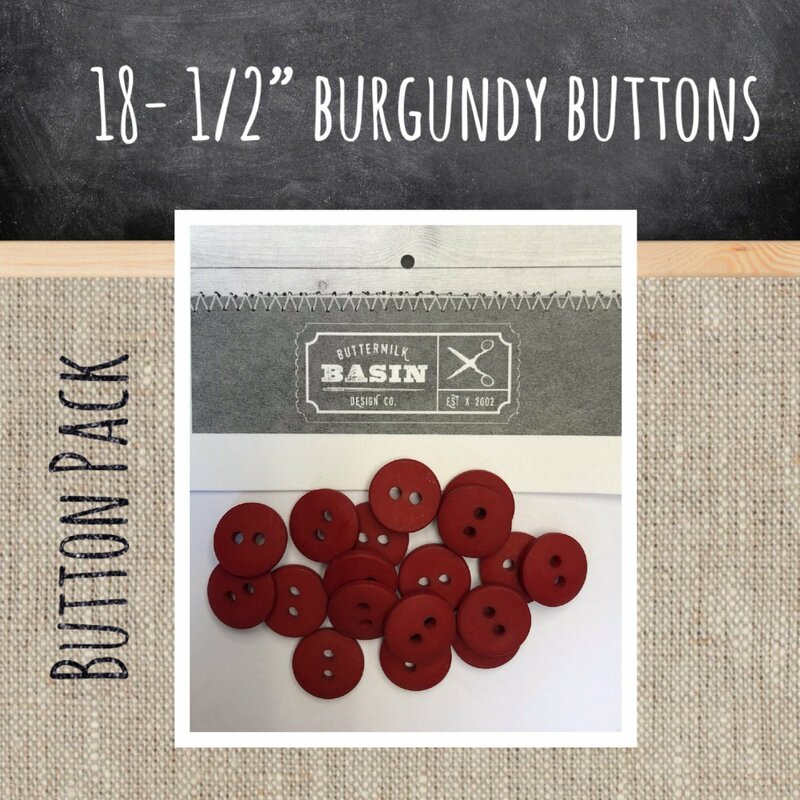 It includes 19 hand dyed buttons and 1 rusty bell. 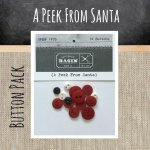 This is the button pack for the Snowman and Candy Cane. It includes all of the buttons to finish the project. 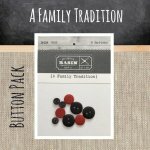 This is the button pack for the Vintage Church in Tree. 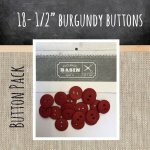 It includes all of the hand dyed buttons to complete the project. 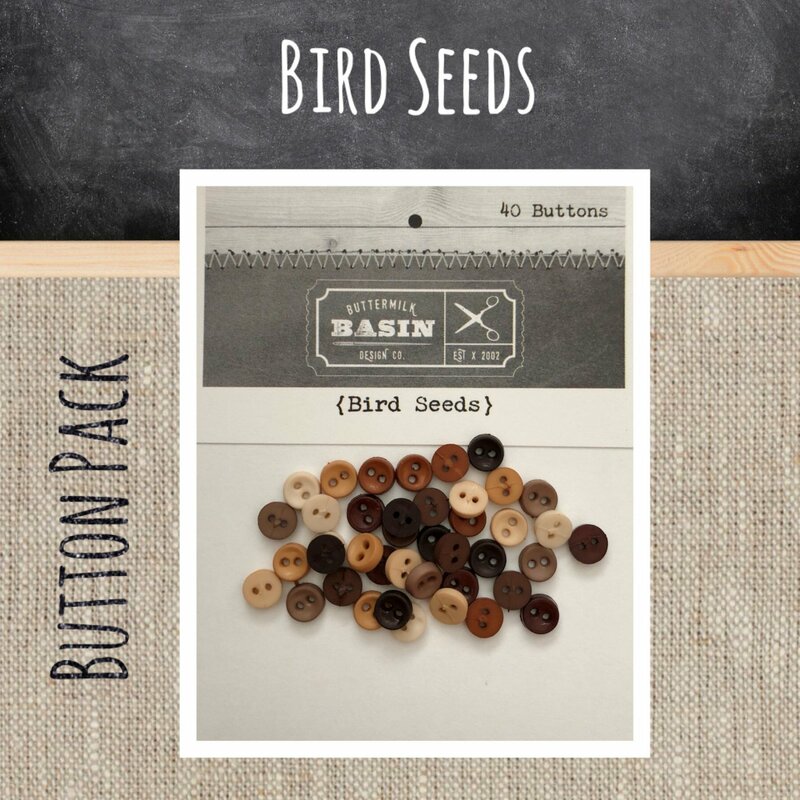 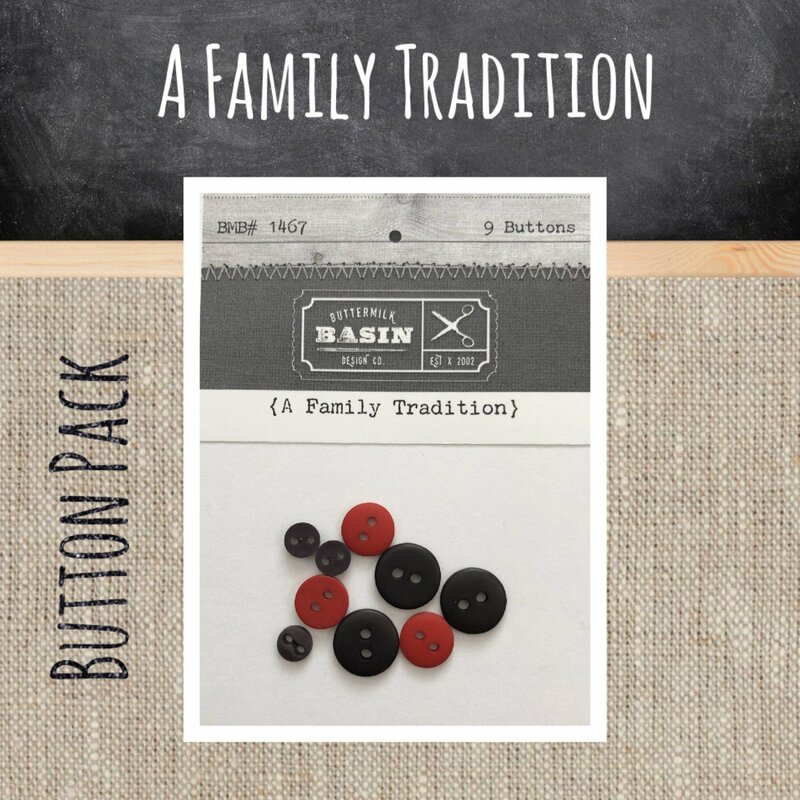 A button pack of our tiny ("onion seed") black buttons. 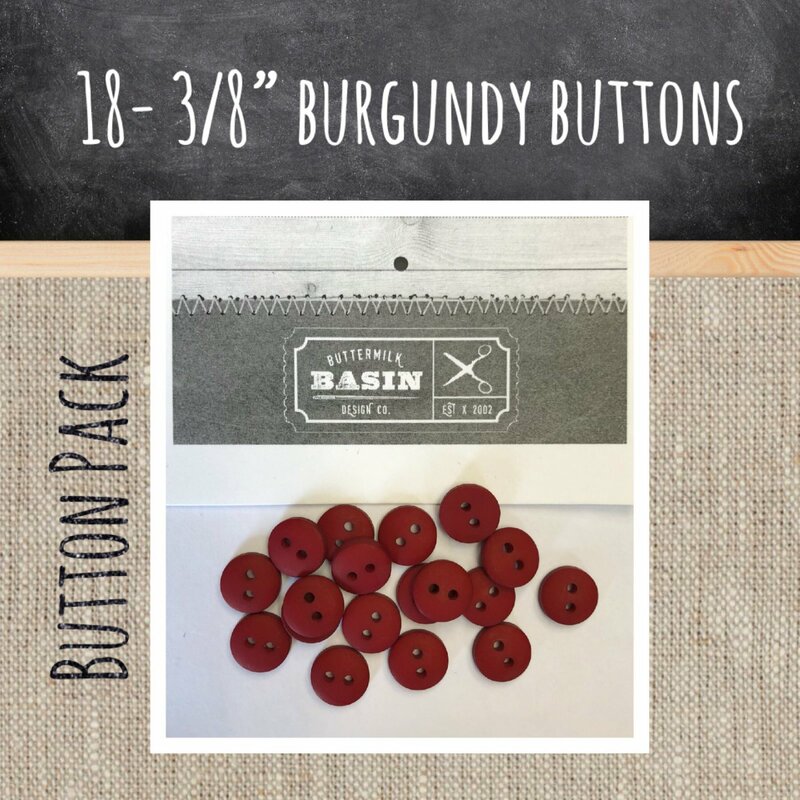 This button pack has 12 buttons that measure approximately 3 mm. This package is identical to our regular onion seed button pack, just a bit smaller quantity for those who don't need as many! A button pack of all black buttons. 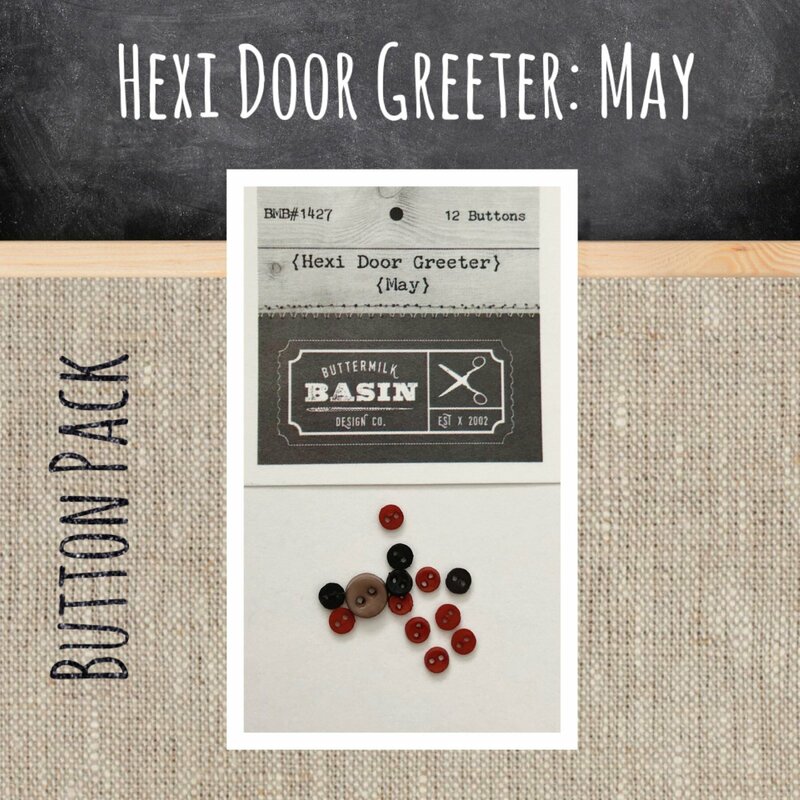 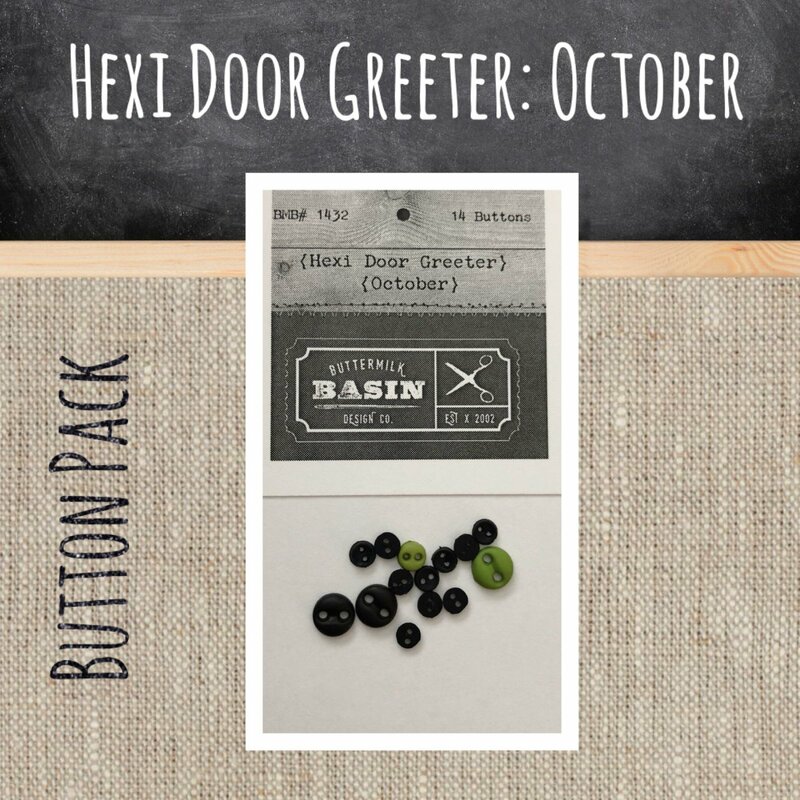 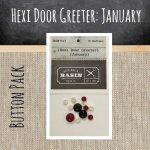 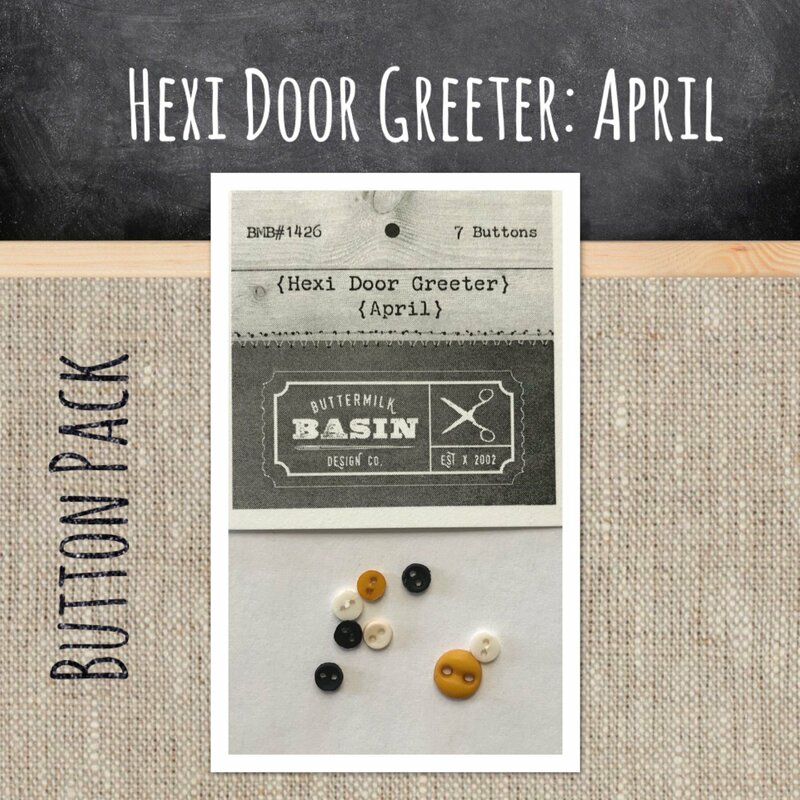 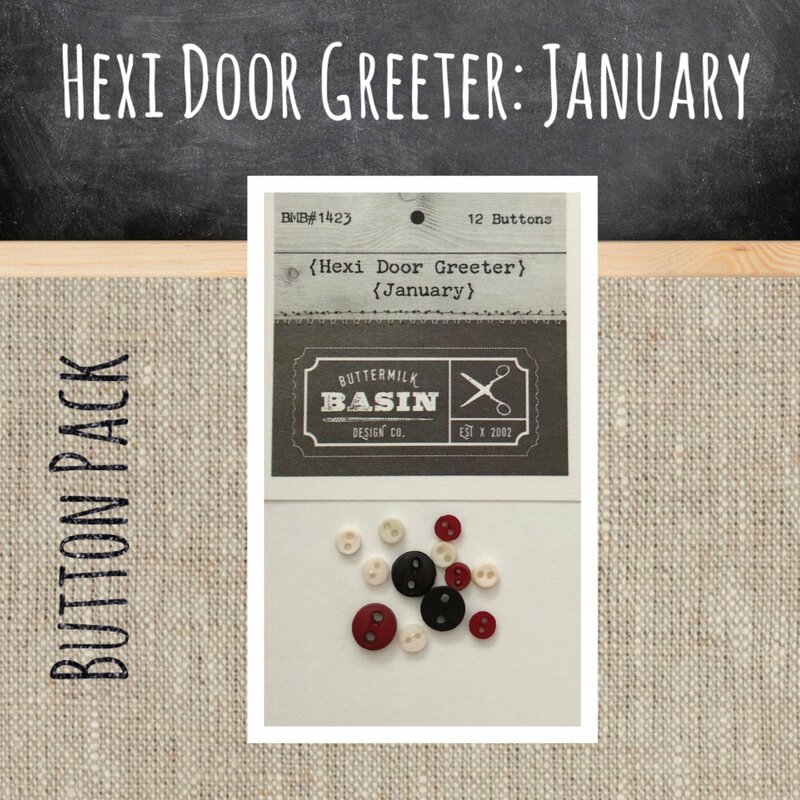 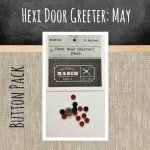 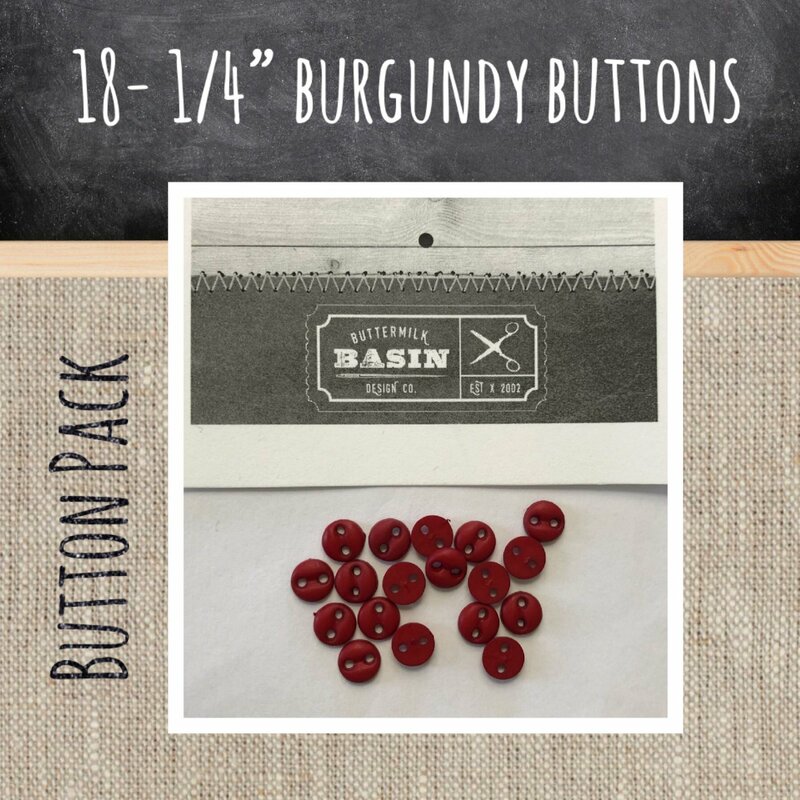 This button pack has 10 buttons that measure approximately 1/4 inch. 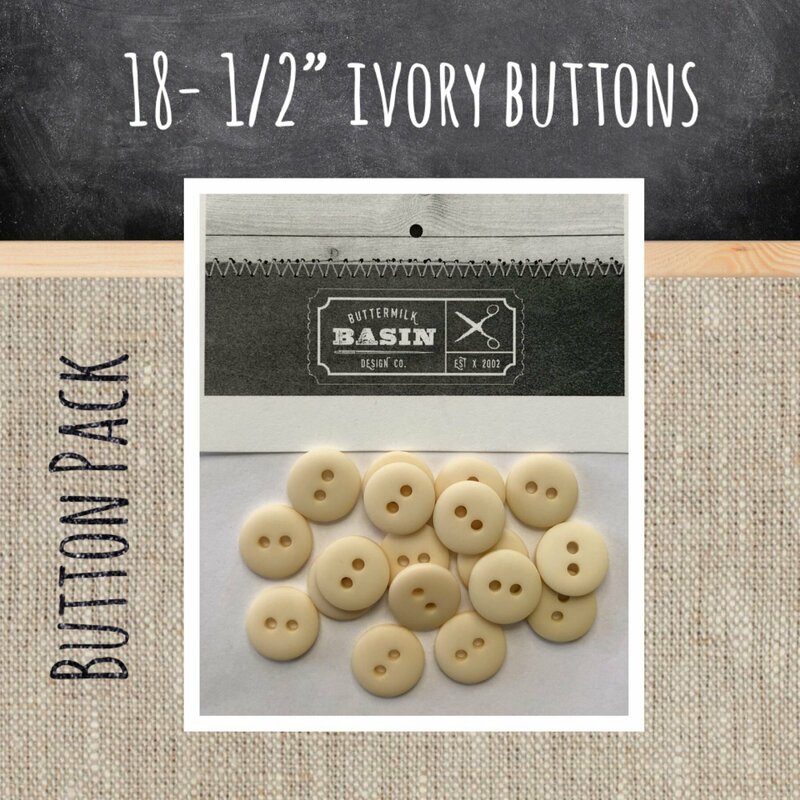 These are frequently used for "eyes" or snowman buttons on our wool projects! 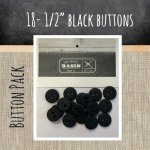 A button pack of all black buttons. This button pack has 8 buttons that measure approximately 3/8 inch. 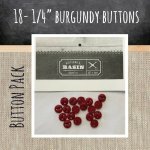 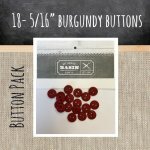 A button pack of our tiny ("onion seed") burgundy buttons. These measure approximately 3 mm. 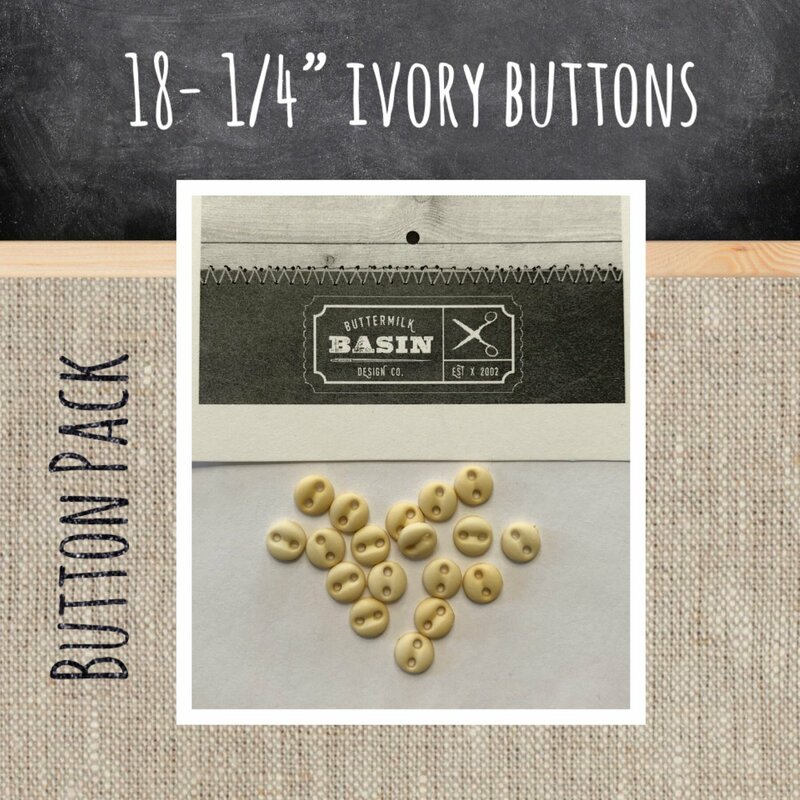 A button pack of our tiny ("onion seed") ivory buttons. 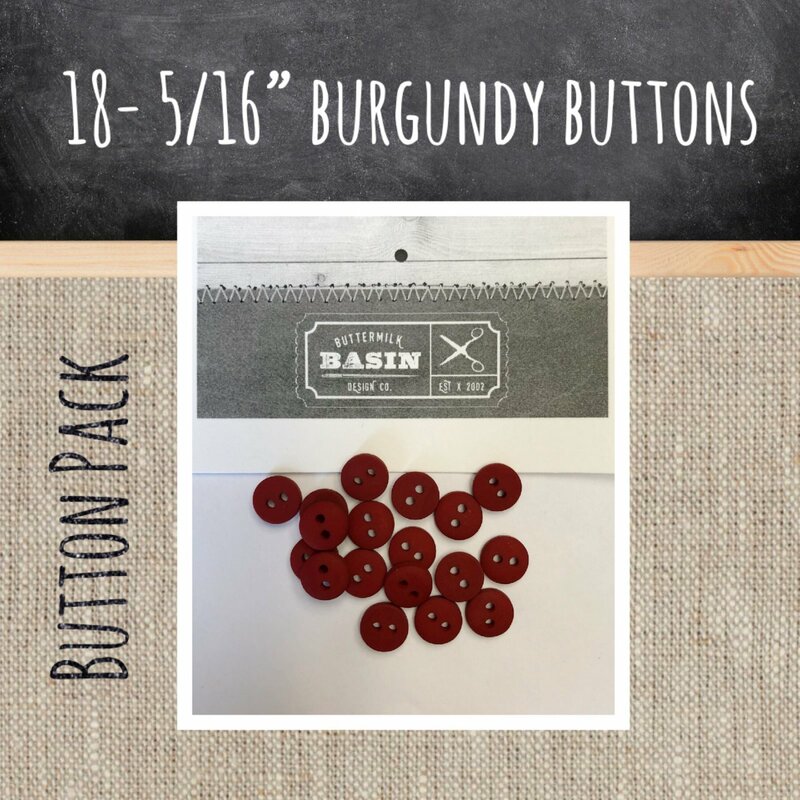 These measure approximately 3 mm. Not *quite* as tiny as our onion seeds, this button pack of ivory buttons includes 18 buttons measuring approximately 4 mm across.